Brendan Rodgers says he remains focused on his job at Celtic amid speculation about interest from Leicester City. Reports this week claimed the Celtic boss has been lined up by the Premiership club to replace Claude Puel if the Frenchman is sacked. However, speaking ahead of Celtic's Scottish Cup tie with Airdrie on Saturday, Rodgers said: "Someone mentioned it to me yesterday. Leicester manager Claude Puel has joked that anyone betting on him to be sacked won't win any money. "It is the time of the year where you get players and managers linked with clubs and whatnot. "For me, my only concentration is here at Celtic. "Leicester, as we have seen over the last few years, (had) an incredible journey that they have been on as a club and obviously the unfortunate circumstances (owner Vichai Srivaddhanaprabha's death in a helicopter crash) that they had earlier this season. "It is a fantastic club but at this moment in time my concentration is purely on Celtic and looking forward to the second part of this season." 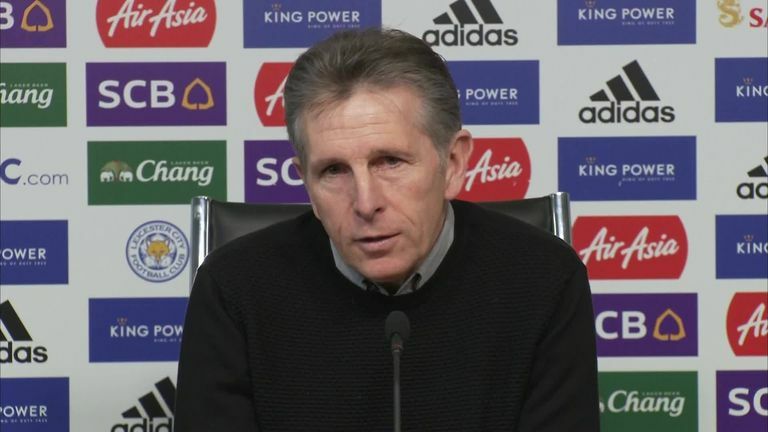 Puel has been under fire at the King Power Stadium, despite the Foxes sitting eighth in the Premier League. They were booed off after a 2-1 defeat to Southampton on Saturday and head to Wolves this weekend, live on Sky Sports. The Frenchman is the 2/5 favourite to be the next Premier League manager to lose his job and wants any bets to lose.